Last week, I was lucky enough to be able to join a group of data geeks (I say that affectionately!) as they gathered in Manchester to explore two very different datasets. The first was the National Diet and Nutrition Survey (NDNS – available from the UK Data Service), which collects information on the food consumption, nutrient intake and nutritional status of the general population aged 1.5 years and over living in private households in the UK, based on around one thousand representative people. The second was a Greenhouse Gas Emissions (GHGE) dataset created by researchers Neil Chalmers, Ruth Slater and Leone Craig at The Rowlett Institute (University of Aberdeen) which has the current best approximations of emissions for each food product in the NDNS. The evening was organised by members of the Greenhouse Gas and Dietary choices Open source Toolkit (GGDOT) project funded by N8 Agrifood: Sarah Bridle, Christian Reynolds, Joe Fennell and Ximena Schmidt. There was a good turnout with people breaking into three groups to explore the data and see what they could come up with. 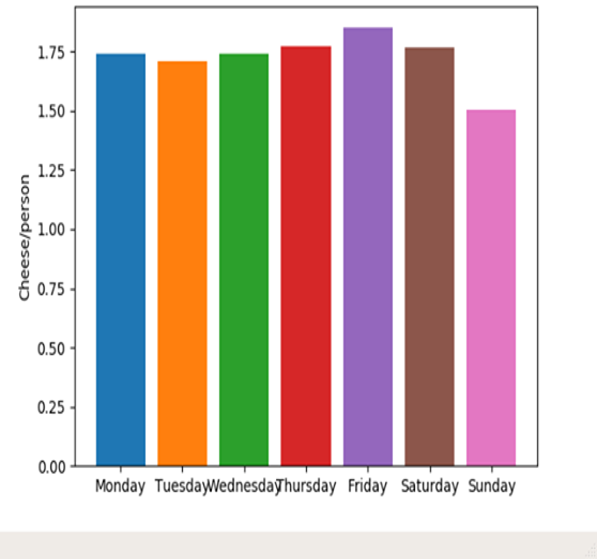 Group 1 used R to read in the CSV files and then grouped data by user id and day number, as well as by aggregate CO2 emissions and calories per person per day. They then plotted these, attempting to find out whether age predicted CO2 emission levels. Digging down into this was an exploration of whether who you eat food with affects the planet – or your waistline. 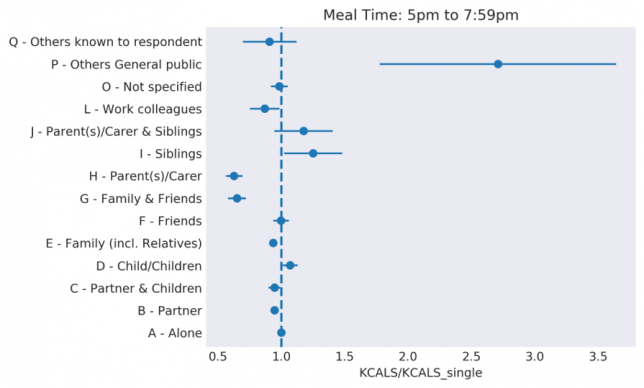 The group plotted 16 categories of who survey respondents ate with, based around a notional evening meal period of 5pm to 8pm). This applied both for calories (figure below) and for greenhouse gas emissions. A curious discovery was also made during the group’s hack. It was a lot of fun seeing people get together to explore different datasets. It will be interesting to see what future GGDOT Hacknights throw up, as well as how these datasets might be used to attempt to change consumer behaviour. 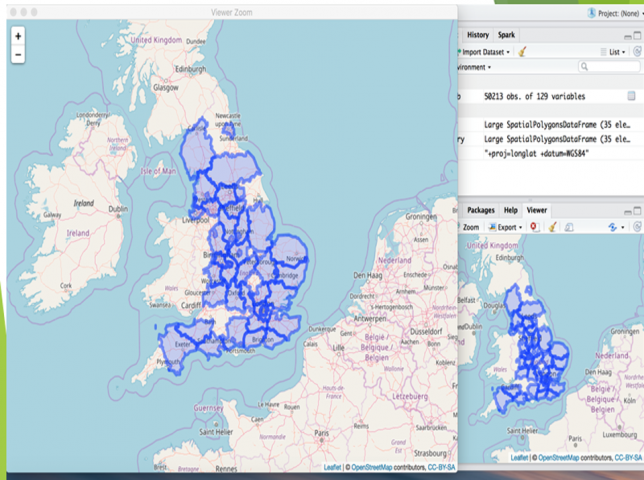 The next two GGDOT Hacknights will take place in Durham on 18th October and York on 29th November.